As Andrew Davies mentioned last week, we’ve just held an Australia-France Defence and Industry Dialogue. We discussed a wide range of security, industry and defence cooperation issues. There was a lively discussion about the big picture of the regional security outlook, with an emphasis on the increasingly important role of the Indo–Pacific system for global security and trade. But the success or otherwise of these sorts of gatherings isn’t so much the quality of the discussion, but the practical steps that follow. As a participant at the forum, I’d like to outline some specific suggestions for security and defence cooperation. While France mightn’t automatically come to mind as a regional partner, there’s already a lot going on between our two countries, and plenty of future opportunities. 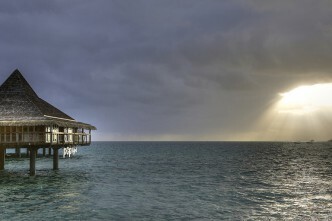 In the South Pacific, France contributes to the islands through aid, disaster relief, and search and rescue. It supports the island countries with surveillance of their EEZ’s, as well as patrolling the high seas. They’ve got operational ports in Noumea (New Caledonia) and Papeete (Tahiti), a small maritime air wing, and a small surface force, coordinated through a headquarters. 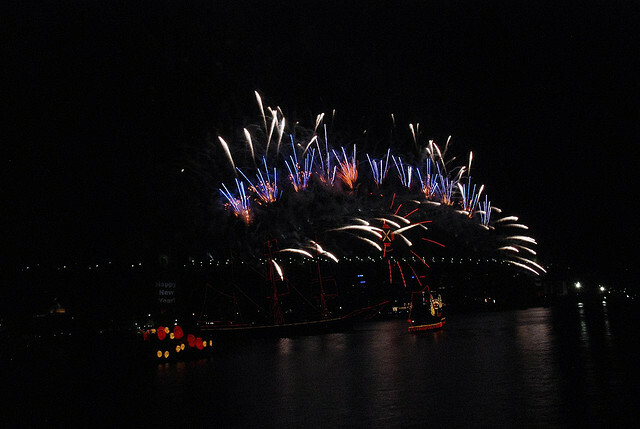 Australia coordinates surveillance with France through the QUAD arrangements, (with the U.S and New Zealand) and, from the French perspective, through the France, Australia, New Zealand (FRANZ) accord for regional disaster relief. We could extend those efforts by working with France to conduct joint patrols of the high seas area adjacent to our EEZ and New Caledonia’s EEZ, and possibly inside other areas EEZ’s. We could also collaborate on boosting the capability of regional countries to do their own surveillance and constabulary work. In that context, France and Australia should be discussing longer term approaches to maritime surveillance governance arrangements in the region. For a start, this might include both countries working to include Japan in the QUAD maritime surveillance arrangements: Japan’s been very active in supporting maritime surveillance in Micronesia. It’d also be helpful for France to further formalise its regional activities. For example, it could become a party to the multilateral Niue Treaty Subsidiary Agreement, finalised in November 2012. This Agreement will improve the region’s ability to conduct multilateral exercises through the requirement to share minimum fisheries data, and allow for the cross-vesting of enforcement powers between countries, as well as hot pursuits into another country’s EEZ. If France were to become a Party, it’d substantially decrease the bureaucracy surrounding their participation in planned and ad hoc operations. Strengthening cooperative regional maritime security and disaster relief activities would be also helpful. One possible mechanism is the South Pacific Defence Ministers’ Meeting, the first of which was held in Tonga last year, with France represented by its local ambassador. A more robust diplomatic presence at this year’s SPDMM in PNG would send a strong message, so Paris might consider sending its Defence Minister, and work with Canberra to broaden the membership of the group, so that it become more like the Pacific equivalent of the ASEAN Defence Ministers’ Meeting-Plus grouping. And, given its size and importance in the Pacific islands community, both countries should work together to bring Fiji into the SPDMM at the earliest opportunity. The Coral Sea is another area where we could engage France. Measures to preserve and protect its marine environment and conserve its biodiversity would be most effective if implemented through cooperation with the other countries that also have a responsibility in the area. Discussions about establishing a Coral Sea Council for oceans management should be started with France, (New Caledonia), Vanuatu, PNG and the Solomon Islands. We could also look south. In the Southern Ocean, fisheries enforcement patrols continue to be undertaken by French authorities as arranged under the Cooperative Fisheries Surveillance Treaty in the maritime areas adjacent to the French Southern and Antarctic Territories (Kerguelen and Crozet Islands) and Heard Island and McDonald Islands. Australian AFMA and Customs and Border Protection Service officers embarked on the French vessels are able to enforce Australian law in our jurisdiction. But Australia hasn’t performed a southern patrol since early 2012. Instead, we’ve deployed our Customs vessel to patrol northern waters for boat people operations. France has continued to patrol southern areas, with a small number of Australian Customs and fisheries officers on board French patrol vessels. 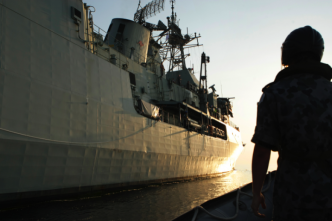 Australia should be giving strong consideration to resuming southern patrols to relieve France of part of the burden. Australia and France work very well together in Antarctica. We’re both claimant states and share a similar approach to the norms of the Antarctic treaty system. France has recently supported our push for marine protected areas off eastern Antarctica, and has provided logistic support to Australian scientists to go inland for ice drilling work from our Casey base. France recently assisted in trying to free from the ice a Russian ship with Australian scientists and tourists on board. Australia and France should be working to pool resources with a view to dominating eastern Antarctic science and logistics: if Australia gets a decent new ice breaker to replace the ageing Aurora Australis, this will help us support resupply to the French base at Dumont D’urville. In the Indian Ocean, France has been focused on exercising sovereignty over its territories in the south west, (Crozet, Kerguelen, Mayotte, Reunion, Saint Paul and Amsterdam and the Scattered Islands), as well as wanting to deploy a force in the greater Indian Ocean with a military presence in the Persian Gulf and Gulf of Aden. It’s building a strategic partnership with India. France has in fact largely focused its attention and capabilities on the western part of the Indian Ocean. Of course, we have interests there as well. 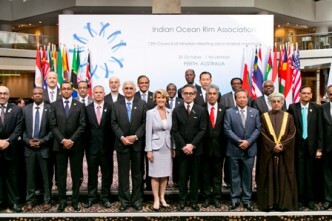 France is a dialogue partner in the Indian Ocean Rim Association (IORA), a regional grouping which Australia is chairing for the next two years. Getting a significant power like France on board to strengthen maritime security arrangements in the Indian Ocean region can only be to our advantage, so we should be working to bring France into more of the IORA’s work. In other words, Australia and France have overlapping interests on issues to our east, south and west—something that isn’t true of many other potential partners. It’d make a lot of sense for us to capitalise on the potential in this relationship. Anthony Bergin is deputy director of the Australian Strategic Policy Institute. Image courtesy of Flickr user 黒忍者.